Want to build up a DRAGON horde and GROW RICH doing it? Can you TAP FAST enough? 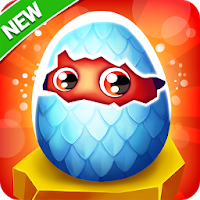 CLICK-TAP-HATCH to collect dragon gold every day – even when you’re not playing!